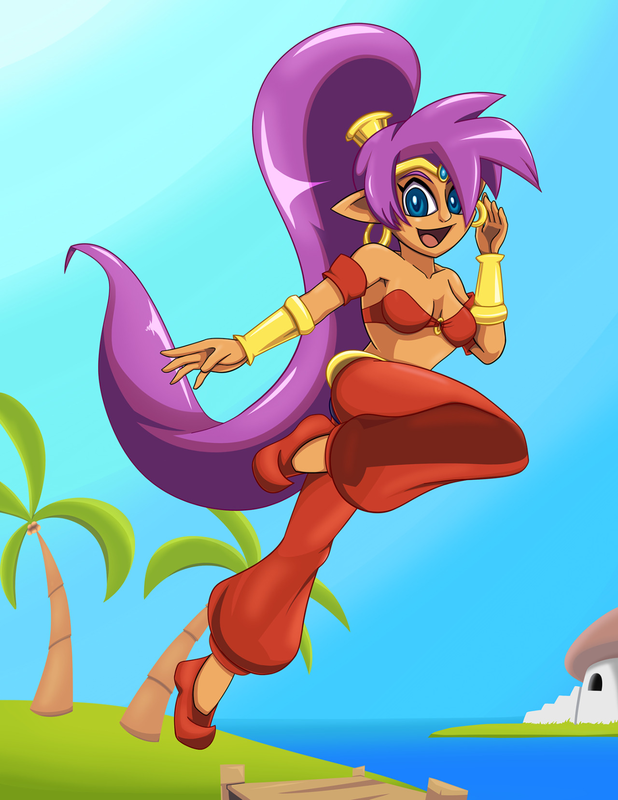 WayForums › General › Fan Art › Oh Lovely Shantae! This topic contains 4 replies, has 4 voices, and was last updated by Mat-the-Speed-Star 10 months ago. Hello everyone! Well I made this Fanart to celebrate the lauch of the new game in the series. I love Shantae I played all the games and I’m excited for the new game! Thanks everyone for making this possible! Have a great day! Really colorful and nice. I like it really much. As much as I love huge anime eyes, the pupils of Shantae here are extremely large, and actually kind of looks creepy. Also, the background behind Shantae looks kind of fake, and really doesn’t blend together well. And the red of Shantae’s clothes looks kinda dreary. One would think that Shantae would wear bright and colorful clothing, symbolizing her flirtatious and silly nature. That being said, I really do like the shine of Shantae hair. Not to mention the complexion of her skin, and her nice tan. Here’s one I made that I finally finished from when the costume pack was released!